We are pleased to present our current Mates Rates offers. Mates Rates aims to provide exclusive, unique discounts to our members to be used to further their professional growth and/or their personal use. Through the Mates Rates program, AustCham Shanghai members can now enjoy special offers on dining, healthcare, travel, leisure or business services. Present your business card to the participating companies and start enjoying these exclusive benefits today! 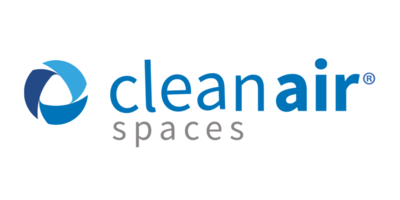 Offer: Clean Air Spaces is offering a free week-long Indoor Air Quality Test to AustCham Shanghai Members. Contact: For access to the offer, please contact your relationship manager or get in touch with Clean Air Spaces here. Offer: Professional Dental Consultation and Clean at 400RMB (950RMB value). Terms & Conditions: Available for members and immediate family (Once per individual). Reservation and a confirmation from a work email required. Contact: To make an appointment please call the booking hotline 021-62968283 or email info@ethosworld.com.cn. Please bring your email confirmation as well as your company business card on the day of your consultation. Offer: Free acuity test, free intra-ocular pressure test and free slitlamp examination. The offer can only be used from Monday to Friday 8:30-16:30 (Closed from 12:00-13:30). All the terms and conditions of this promotion may be changed without further notice. Please contact the hospital directly for verification. Contact: To make an appointment please contact Jasmin Rathai. Offer: 20% off Medication Therapy Management ( MTM ) services. 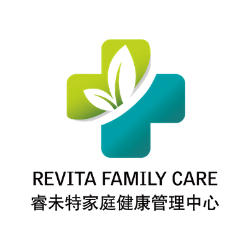 Shanghai United Family Hospital provides a variety of MTM service to their patients. Some of the featuring service including Chronic Disease Management, Comprehensive Medication Review, Targeted Medication Review, Medication Related Action Plan (MAP), Intervention and /or Referral and Personal Medication Record. Original Price: RMB 375 for 15 minutes, RMB 500 for 30 minutes. AustCham Member Price (20% off): RMB 300 for 15 minutes, RMB 400 for 30 minutes. Terms & Conditions: Available for members and immediate family. Members should indicate that they are AustCham Shanghai members using the MTM Mates Rates offer and present a business card at check-in to confirm membership. Contact: Please call the appointment Center 400 639 3900. This offer can not combined with other promotions. Available for AustCham Shanghai Corporate members only. Please E-Mail:katherinewei@revita.sh.cn with any enquiries. Please Add Wechat: 13061697972 with any enquiries. Offer: 10% discount to AustCham Shanghai members for the third consecutive premiership season game in Shanghai in 2019. To redeem this discount, contact your Relationship Manager, or reach out to the membership team here. Offer: 10% off all "rent by the desk" leasing plans. A further 50% off discount will be applied for the 2nd desk and thereafter. Click here to download the full leasing plan. Contact: Please email Yuki Yu with any enquiries. Offer: A discount of 20% from normal rates for the first 6 months for companies who sign a contract to outsource their document storage and/or media tape storage requirements to Asian Tigers Records Management Services. Terms & Conditions: Available for AustCham Shanghai Corporate members only. Applicable to all contracts signed before 31 December 2017. Minimum contract period is 2 years. Offer: Austcham Shanghai members can enjoy a complimentary consultation from Dezan Shira & Associates about your investment strategy in Asia. To schedule your consultation, please reach out to Mr Riccardo Benussi to discuss your business plan for Asia. We are happy to provide advices in related to Business Intelligence, Legal, Due Diligence, Accounting, Tax, HR, Audit and IT. Contact: To redeem this discount, contact your Relationship Manager, or reach out to the membership team here. Offer is valid until 30 June 2019. Offer: 15% discount on all translation, interpretation and copywriting services. Contact: Please email Kahei Li for more information. Offer: 27% off listed prices for IECL training courses. Contact: Please email Caroline Zhou with any enquiries. Offer: Up to 25% off consulting services. Contact: Please email Adrien Boue with any enquiries. Offer: A discount of RMB1,000 for either your Australian tax return (via our Partner SMATS Group) or the cost of setting up an International Will recognised in China (via our external specialist business partners). Terms & Conditions: This promotion is only available to Australian passport holders, who are members of the AustCham Shanghai and will involve a referral to a specialist service, whose advice is separate and distinct to those offered by St. James’s Place. Contact: Please email china.marketing@sjp.asia and one of St James's Place's experienced team will contact you. Members of the St. James’s Place Partnership in Shanghai, Beijing and Shenzhen represent St. James’s Place (Shanghai) Limited, St. James’s Place (Shanghai) Limited Beijing Branch and St. James’s Place (Shanghai) Limited Shenzhen Branch, which are part of the St. James’s Place Wealth Management Group and are Wholly Foreign Owned Enterprises (WFOEs). WFOE registration Nos. 91310000566573326L, 91110105MA017YPH7A and 91440300MA5ER5YL82. St. James’s Place Wealth Management Group plc Registered Office: St. James’s Place House, 1 Tetbury Road, Cirencester, Gloucestershire, GL7 1FP, United Kingdom. Registered in England Number 4113955. Please note that due to local legislation we are unable to offer our financial planning services to nationals of the People’s Republic of China. SMATS Group are Registered Australian Tax Agent 62364000. The offer is valid until 31 December 2018. Offer: 1 month free virtual office + 2 months free co-working space. Terms & Conditions: Full offer details available on enquiry. Contact: Please email PRMarketing.Shanghai@servcorp.net with any enquiries. Offer: 20% off on retail prices for first time students and free talking pen for HSK 2 levels (long-term) students. Contact: Please email Jennifer Qiu with any enquiries. Offer: 50-70% off selected Beloka Mineral Water and East Coast Spring water. Please download the full list of products available here. Terms & Conditions: A minimum order of one case is required. Contact: Please email Lisa Xie with any enquiries. Offer: 20% off F&B, 20% off Spa, 10% off Bar. Contact: Please email Rebecca Liu or call reservation +86 21 25091188 for any inquiries. Offer: Up to 65% off selected De Bortoli Wines. Please download the full list of available products here. Terms & Conditions: Subject to availability. Selected wines may change periodically. A minimum 6 pack order is required to benefit from the offer. Free shipping available inside Shanghai, additional costs may apply for external deliveries (Suzhou, Hangzhou...). Contact: Please email Faye with any enquiries. Offer: 20% discount at Hyatt on the Bund's restaurants. Contact: Please email Jennifer Dai with any enquiries. Offer: 20% off list price for Mornington, Little Creatures and Karls Strauss. Please download the full list of discounted products available here. Terms & Conditions: One case minimum order required. Free delivery in Shanghai for orders over 1000RMB. For orders under 1000RMB, please pick up at Liquid Solutions' office. (Room 101, Building C, No. 5, Lane 207 Jiaoji Lu, Putuo District). Contact: Please email Jasmine Zhu-Taylor or call +(86) 21 56057105 with any enquiries. Offer: Up to 15% off selected Metcash products. An extra 10% off discount will be applied for orders over 5,000 RMB. Please download the full list of available products here. Terms & Conditions: Subject to availability. Selected products may change periodically. Contact: Please email Vicky Wu or call +(86)21 51602399 Ext 162 with any enquiries. Offer: 20% of Australian wines at mr willis. mr willis is Australian chef Craig Willis’s cosy loft kitchen-dining room where he prepares simply cooked, modern Australian flavors in sharable portions. Terms and Conditions: reserved to in-house dining only, cannot be combined with other promotional offers. Offer: Up to 20% off retail price on beers. Terms & Conditions: Minimum one case order required. Varieties subject to availability. Please download the full list of available products here. Contact: Please email Yashian Schauble or call 156 1893 6259 with any enquiries. Terms & Conditions: Present this picture when you visit Taste & See to redeem your Mates Rates! Contact: Please call 52831977 with any inquiries. Offer：Up to 40% off selected wines. A full list with corresponding pricing for AustCham Shanghai members is available here. Contact: Please contact Jiawei Dai if you would like to place an order. Offer: 15% off hotel rates. Terms & Conditions: Subject to room availability. Contact: Please call the booking number 4006-998-998 and mention that your company is a member of AustCham Shanghai when making a room reservation. Offer: Special rate on Somerset Xuhui Service Apartments. Please click here to download more information. Contact: Please contact Vivien Zhang to enjoy this special offer. Offer: Additional baggage allowance on Qantas flights. Terms & Conditions: Please note that only AustCham Shanghai members are eligible for the extra baggage, and that the offer cannot unfortunately be extended to friends or family. Contact: Please email mike.cheung@austchamshanghai.com with any enquiries. The program provides special discounts and offers to all AustCham Shanghai members. Mates Rates is an excellent opportunity for our members to provide added value to fellow community members and to share their wide range of goods and services with 400+ members. We encourage you to share a discount or offer to AustCham Shanghai members which can be used to further their professional growth and/or to be used for personal use. These offers will be advertised on our website and in our member directory, and periodically posted to our social media channels. Please note that to be included in the Mates Rates basket of offers, all offers must meet the criteria and pend approval by the AustCham Shanghai Board of Directors and can be refused or cancelled at any time, including but not limited to time of membership expiration. Members who would like to submit an offer can contact our Relationship Manager Ali Groch. Members are naturally welcome to share any seasonal, short-term, or one-time promotion with us to be included on our Media Centre free of charge. Please contact Communications Manager Madison Campbell with enquiries.